Joan Kathryn (Houtman) Zuidema, 86, went to her eternal reward on April 12, 2018 following a long illness. Joan was born in Holland, Michigan the second of six children to Neal and Dorothy Houtman. She attended Holland High School and the Henry Ford Hospital School of Nursing. She met the love of her life, George, shortly before they left for nursing and medical school respectively. They married on June 2, 1953 and spent 65 years living life together and raising a family. Joan enjoyed a rich and happy life, living out her priorities of Faith, Family and Friends. She had numerous faith children as she taught Bible Study Fellowship and served as a volunteer chaplain at the University of Michigan Hospital. She was devoted to her family, living in Baltimore, Maryland, Ann Arbor, Holland and summers on Elk Lake. Some of her happiest times were spent “up north” where she enjoyed water skiing, sailing, all sorts of games and searching the gravel roads for Petoskey stones after a rain. In the winter she enjoyed figure skating. There were many memories of growing up with her siblings, their elocution lessons, and an active family life which included sharing a bedroom with her two older sisters. 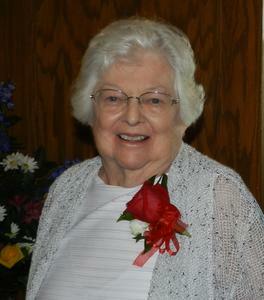 She played the piano for family and friends, and had a strong passion for quilting. She made many quilts for her children. She collected angels which emerged every Christmas in celebration of Jesus’ birth. She took in two girls from Viet Nam as the war was ending; both went on the receive degrees in engineering. A high point in her life was an 800 mile trip by boat on the intracoastal waterway with George following his retirement, joined by special friends. Joan was preceded in death by her parents, sister Billie Clark and an infant son, Michael. She is survived by her husband, Dr. George Zuidema and her children: Karen (William) Voter of Rochester, New York and their children Allen, Andrew and Brian, David (Susan) Zuidema of Timonium, Maryland and their children Michael and Christy, Nancy (Richard) Radcliffe of McLean, Virginia and their children Elizabeth and Emma, and Sarah Kohl of Holland and her children Katie, Parker and Jennifer, and six great grandchildren. She is also survived by her siblings: Mary VanTamelen, Sally Shimp, Donald Houtman and Ken (Diane) Houtman. The family would like to express special thanks for the wonderful staff at Resthaven and the Boersma Cottage. Funeral services will be held on Wednesday, April 18 at 11:00 am at Pillar Church, 57 East 10th Street, with the Rev. Jon Brown and Rev. David Blauw officiating. Burial will be in Pilgrim Home Cemetery. Visitation will be 10-10:45 am, prior to the service. Memorial gifts may be given in Joan’s memory to Resthaven Care Center or to Hope College’s Zuidema Scholarship Fund. Arrangements are by the Dykstra Funeral Home-Downtown Chapel.